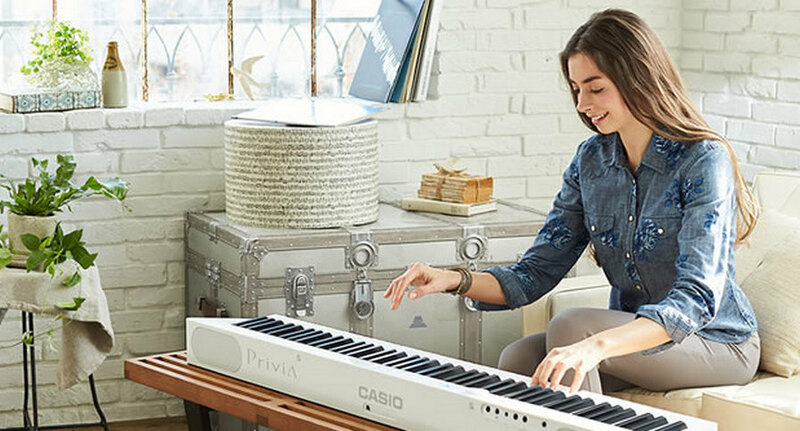 Casio announced today announced the new PX-S1000/S3000 models in its Privia digital piano lineup. 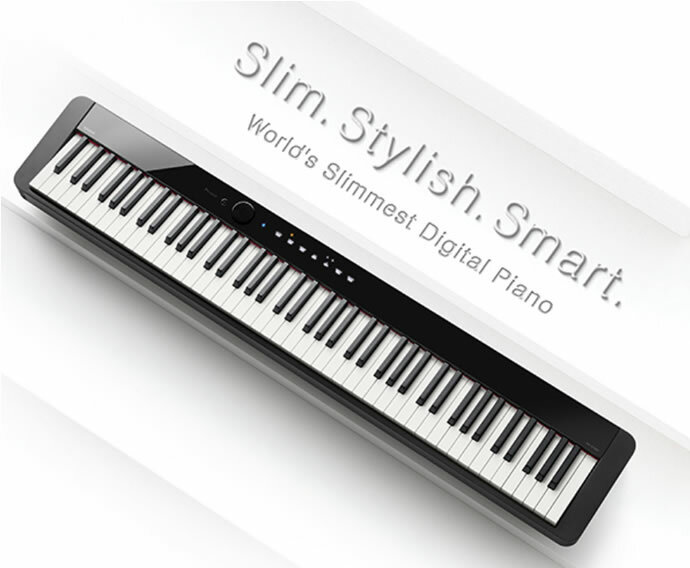 The new models are the slimmest and stylish digital piano in the World. 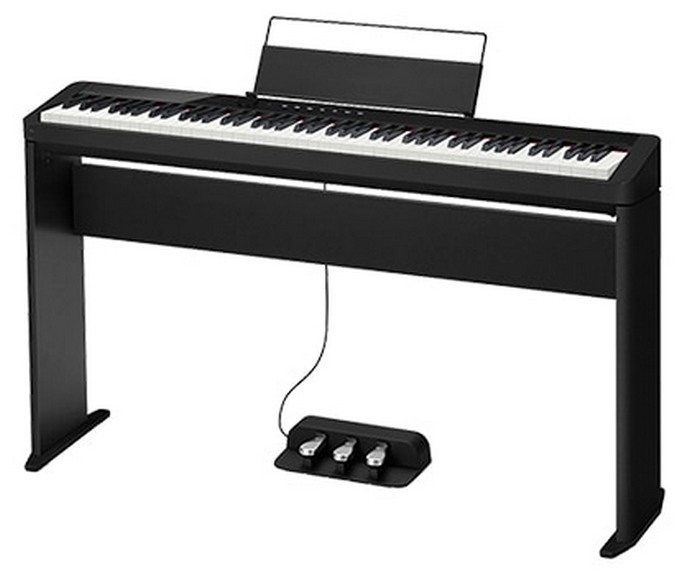 The new PX-S1000/S3000 models return to the original Privia series concept of Private Piano. While their slim profile makes them the slimmest electronic keyboard in the world, these pianos deliver touch and beautiful sound like a grand piano. The newly developed Smart Scaled Hammer Action Keyboard makes the slim 232mm depth possible. 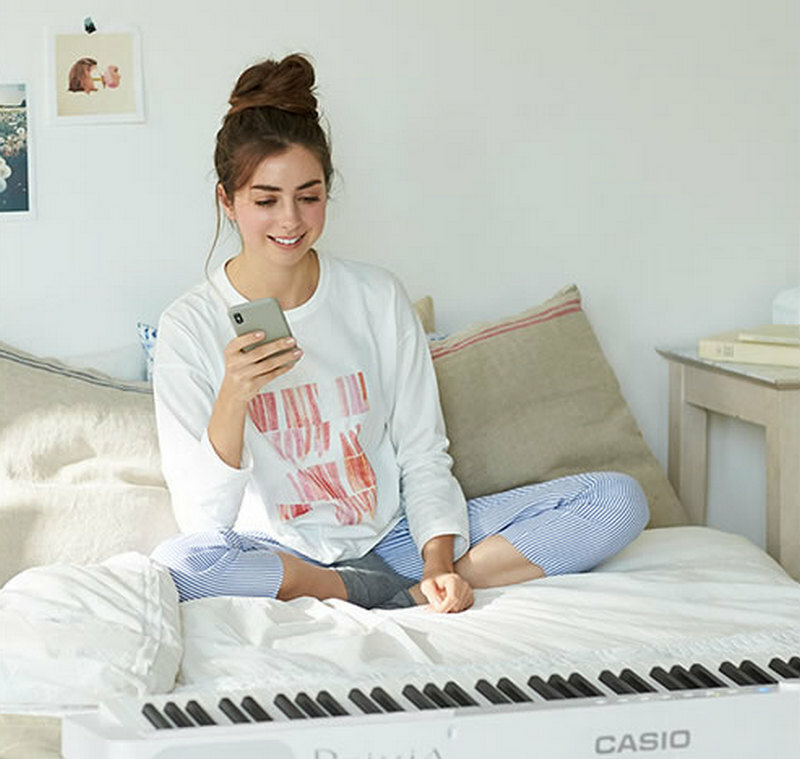 With such a slim profile, users can now easily enjoy playing the piano in a variety of living environments without taking up a lot of space. The new models also provide the superior repeat-strike performance and touch feeling of a grand piano. The Multi-dimensional Morphing AiR Sound Source reproduces the natural temporal changes in tone, as well as changes in volume and timbre depending on the force of the keystroke. It can express the resonance and sounds of the action of the strings of a grand piano, producing rich and beautiful timbres. The Casio PX-S1000/S3000 models also offer for the first time an audio playback feature using Bluetooth. They can also be used as a Bluetooth speaker that can add depth and performance hall acoustics to a sound, allowing the user to play the piano along with their favorite songs.